Live throws up some questionable situations at times, which, for young people especially can result in unforgettable experiences. I love young adult novels that encapsulate such experiences in stories with unreserved candour and humour. Here are some unforgettable examples. Touchell’s ability to reach deep into the grey sticky bits of both adults and seven-year-old boys and extract meaning from them for us in ways both poetical and moving is awe-inspir ing. This is a powerful and intelligent fiction for young readers written with precision and heart. As Foster’s world of stories and thus reality recedes into a place he can’t identify, he is forced to farewell the other most important thing in his life, his father. Foster may inhabit a seven-year-old’s body and possess a sweet naivety and omnipresent reverence for his father still, but when his father begins to forget everything including Foster, Foster’s outlook on life, school and relationships is sent akimbo. For the first time in his life, he is adrift in a place where his father can no longer accompany him. To make matters worse, his mother is barely able to cope with their unexpected and irreversible demise let alone Foster’s feelings. Losing a parent to (early onset), Alzheimer’s disease is no straightforward matter as Foster discovers. How it affects his position in his family is the question Touchell throws at us again and again with poignant force. At times brutally honest and real and at others stoically proud and witty, Forgetting Foster focuses on surviving battles we were not meant to fight. 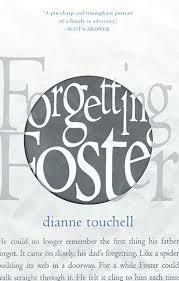 Forgetting Foster is a sort of grown up version of Lisa Genova’s Still Alice; it is no less intelligent and revealing however translates the angst and ludicrous frustrations and realties of Alzheimer’s from the carers’ point of view instead of the sufferer’s. How Foster comes to deal with these realisations is the resolution for a story that has no real happy ending. Focusing on a younger character but with buckets of lower secondary school reader appeal. Poetic, raw and real, I savoured every syllable of this verse-coming-of-age novel by Herrick. Mullet Town is an intelligent narrative about surviving on the peripheral of l ife, both emotionally and materialistically. Mates Jonah and Manx exist in a one mullet town, content to throw a line in the lake every now and then and wade through the treacherous bog of teenage parties and relationships. For Manx, who may aspire to more but is also driven to defend his simple existence from the ‘wealthy blow-ins’ who want to sell the town out, life suddenly becomes more complicated. How he manages to keep his head about water and remain supportive for Jonah plays out in an emotional journey Herrick cleverly wallpapers with gentle, lyrical wit. The end petered out a little too matter-of-factly for me but life is not always full of neat and tidy endings. 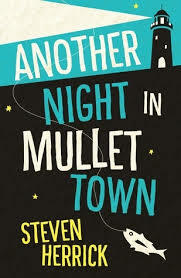 As long as the mullet continue to swim, there remains a glimmer of hope for the residents of Mullet Town – this is the departing assurance, which is in itself enough. Gritty and extremely readable, a highly recommended verse novel for older readers. Black Sunday is riveting and tactful. I thoroughly enjoyed McHugh’s account of one of the most unexpected and largest mass (beach) rescues in Australia in the late 30s. Ironically, I had come across old newspaper reports about this day in February 1938 whilst researching another topic. I was astounded and shocked by what I uncovered. 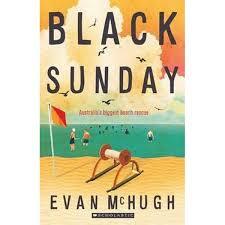 McHugh’s use of simple diary entries by 12 year-old David McCutcheon aka Nipper to detail the events leading up to Black Sunday, entreats intimacy and candour whilst painting a vivid picture of Bondi and its surrounds on the eve of WW II. Even those who have never swam in Bondi’s ever changing waters or basked on her golden beaches will gain a strong sense of place and time thanks to McHugh’s thoughtful epistolic prose. The actual event itself is not over dramatized rather occurring naturally after a nine-month relationship with Nipper whose life ambition is to be a surf lifesaver like his grandpa, his diary, and the colourful cast of characters that people his life. There is a beautiful balance of emotion, history, and humanity in this Australian Story, which pays homage to heroes in every guise not least of which those that serve Surf Lifesaving Australia. Respect in the highest. Well suited for primary and lower secondary readers, Black Sunday is a fitting and vivid unforgettable tribute to Australia’s not so distant past.